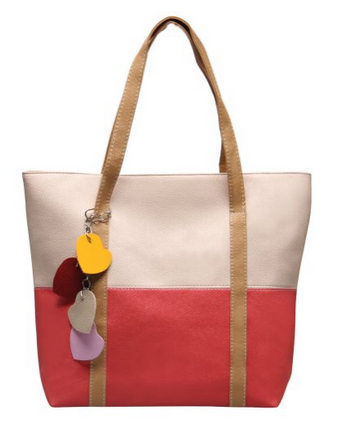 Hynes Eagle Simple Leather Tote Only $12.99! You are here: Home / Great Deals / Amazon Deals / Hynes Eagle Simple Leather Tote Only $12.99! Get this Hynes Eagle Simple Leather Tote for Only $12.99 from Amazon.com! FREE shipping on orders of $35+! This is a nice not-too-casual bag for the summer! 4 color combos to choose from. Contrasting color design with top zipped closure. Large packing capacity to fit daily essentials and anything else you need!